Khalia Deborah is a Certified Life and Transformational Coach, holding a B.S. in Business of Accounting & Finance, a Photographer and the mother of two amazing little boys. She is the Founder of Khalia Deborah Coaching, as well as, the leader of the Dreams To Founder Movement! Through 1 on 1 coaching, Workshops, Conferences & empowering speaking, she uses her life, what she has learned and acquired to empower and challenge women to step into a greater realm of their lives! Khalia not only coaches her clients on how to build up a successful and sustainable business and brand, but she coaches them to have the confidence, courage, skills and qualities of a leader that will positively impact not only their lives but the community and people they serve. Lastly, she leads a personalized photo session for each client. 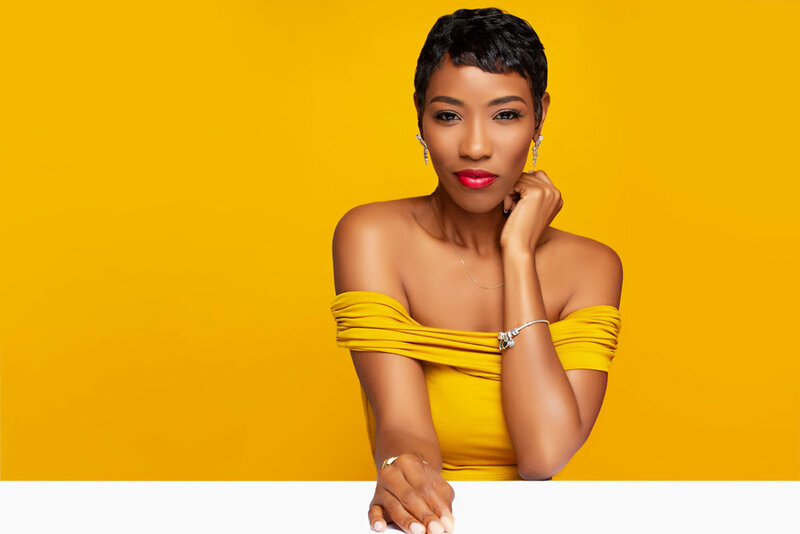 This is the moment Khalia Deborah uses her creative photography skills to build visual content for her clients online presence, media kit and any business correspondence. Khalia Deborah is here to help shift mindsets, cultivate valuable relationships & build better leaders that will impact this world in the greatest way possible! The process of taking your hopes and wishes, making goals out of them, and ultimately living in the reality of your dreams can be overwhelming and seem down right impossible at times. Being a mother of two, dealing with some consequences of decisions she has made and having this enormous vision to help women all over the world just made everything seem so out of reach! Khalia’s own goals and dreams were stuck as just a thought in her mind, stuck as hopes and wishes for a very long time before she attacked them with confident action! Once she finally built enough courage to start taking the steps to change the direction of her life, people started to ask her HOW! People wanted to apply Khalia's actions to their own life and business. She could not fathom why people wanted her opinion. She would spend time mentally running down the list of all her failures and thinking of so many people that were better qualified to give their opinion than her. Khalia was afraid that her opinions would fail the people asking. She did not have trust or confidence in herself and what she was truly capable of. However….KHALIA ANSWERED THE QUESTIONS ANYWAY! It was not apparent right away but as time went on and as she stepped out (even though she had some fear attached to her), Khalia realized that all her answers were helping people succeed! Her opinions mattered and were changing areas of people’s lives. Moreover, all those failures that stayed at the forefront of her mind that she was so ashamed of, was the same lessons that she had to learn so that she could pour the wisdom into the lives of others. With the hopes that her lessons will become someone else’s treasure and the thing that changes the whole direction of their life (or at least a portion on it) is why she leads the business she does today!